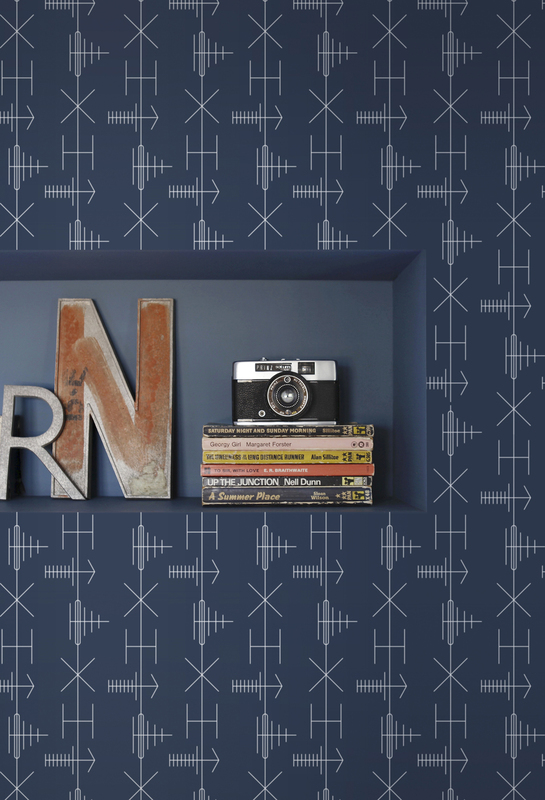 British print duo Mini Moderns (Keith Stephenson and Mark Hampshire) has just launched the new ‘Culture!’ collection of wallpapers in their signature graphic style, referencing design, crafts and cultural events from the 19th and mid-20th centuries. Drawing inspiration from Eastern mysticism, modernist architecture, television aerials and the Bauhaus movement, each of the eight designs comes in a range of distinctive colourways. Fizz faves include ‘Pleasure Gardens’, featuring playful illustrations of a Victorian funfair, the oriental-themed ’Lucky Lantern’ and ‘Bauhaus’, which with its geometric symbols and Thirties Art Deco motifs chimes perfectly with the 100th anniversary of Walter Gropius’ seminal German design school. The ‘Culture!’ collection is available now from £60 per roll at minimoderns.com. Printed in the UK using water-based inks on FSC-certified paper, it features non-woven, paste-the-wall designs.